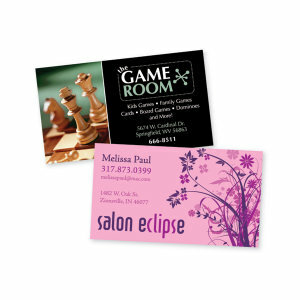 Some refer to custom promotional magnets as one of the "original" promotional products. That's true, but we prefer to call customized logo magnets one of the most enduring and best cost-per-impression specialty items ever made. Custom promotional magnets from IASpromotes.com can be printed in one color all the way up to full color photos. Design your own shape or order one of our 10,000 stock models of promotional magnets! So much of our world is made of metal. To the professionals at IASpromotes.com, we see all that metal as open space just waiting for customized promotional magnets! For the car, fridge, computer, or file cabinet, custom promotional magnets serve a multitude of purposes and all within any kind of marketing budget. Contact one of promotional merchandise specialists to discuss which magnet may serve your space and purpose most effectively. Magnets are little rectangles emblazoned with a logo, tagline, phone number and website, that stick to refrigerators, right? Well, not always, but that is the most widely envisioned object when someone mentions magnets. And often what's tried and true should be trusted. IASpromotes.com carries thousands of small magnets designed for the fridge that can serve any promotional marketing campaign. These custom printed promotional products are simple, straightforward, and classic - and so useful! Everyone appreciates those qualities, and the repeated use of these specialty promotional items proves it! However, promo magnets can stray from the norm a little, if you'd like. What about a custom printed refrigerator magnet, a logoed Emergency Numbers magnet, or a specialty non-rectangular magnet? You don't have to go too crazy but, with promotional products, there certainly is beauty in minor variations on the classic form. Magnetic calendars are one of the most popular variations on the standard promo magnetic product, offering ample space for your logo and personalized pertinent information, but also including room for a useful schedule or calendar. Now that you have the refrigerator covered, move on to the expansive metal space of the automobile. 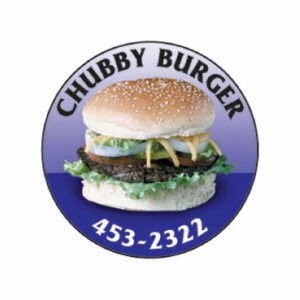 Car magnets are particularly smart advertising investments because they provide a large area for your logo and your logo moves all around town, guaranteeing frequent impressions and high impact. Also, almost everyone uses cars, so the number of clients you can reach with a promotional car magnetic marketing campaign is limitless! The automobile is the next great frontier for impactful, high-scale marketing campaigns. IASpromotes.com offers a number of variations on the classic magnet. If you're looking for a specific shape that matches you logo, marketing campaign, or business aesthetic, browse through the thousands we carry in stock, or else you can design your own! If you want a promotional magnetic that is colorful and really pops, IASpromotes.com offers magnets printed in everything from a single color all the way up to full color photos! We offer magnetic mood charts, customized memo charts, personalized peel-off day calendars, and many other creative twists to the classic promotional magnet. Custom printed or screened magnets are perfect for tradeshow gifts and corporate promotional giveaways. Whatever you desire from your promo magnet ad campaign, IASpromotes.com carries and can customize the specialty magnets that will surely get the job done!